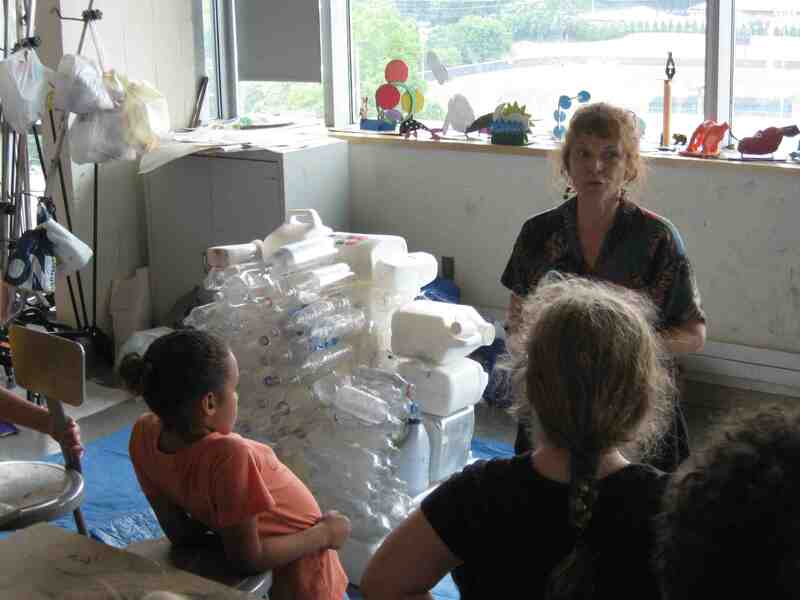 Susan Adler, who studied under the tutelage of Tom Supenski recognized clay sculptor, and several other known artists for other mediums, NPR writer and author Andrei Codrescu, began offering workshops to adults and children as well as private art lessons more than twenty years ago. She studied early childhood development through the arts at Antioch. She also has a degree in English and Creative Writing from Towson State University and studied dance at Peabody Conservatory and was the first caucasion to dance with the African-American dance troupe at Morgan State University. 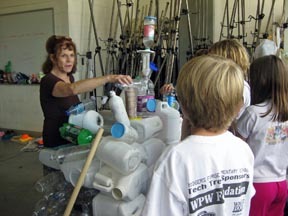 Children explore the concepts of balance, problem-solving and strategy as they attempt to make sculpture by repurposing discarded plastic bottles. Lessons are about sustainability, recycling, balance of objects as well as balance of life, and of course strategic problem solving. 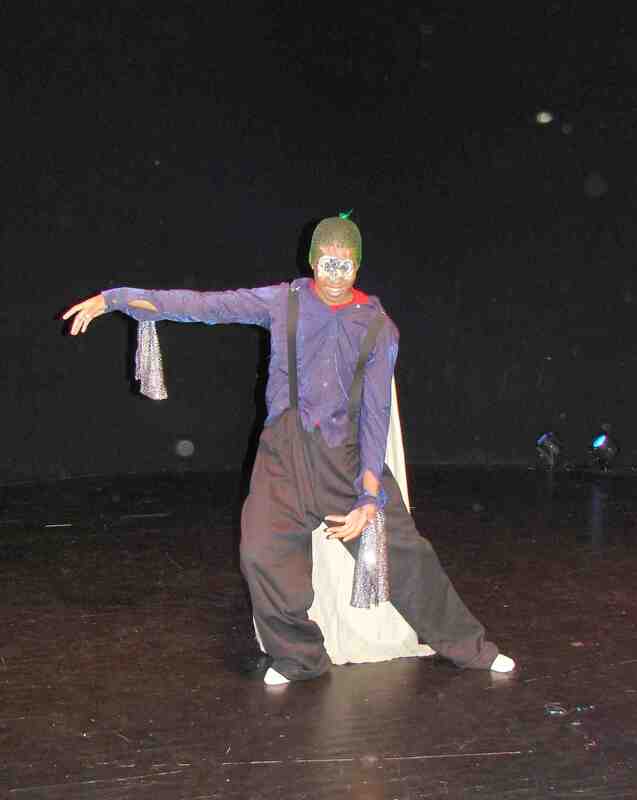 All lessons are offered in a fun, uplifting and motivating style. 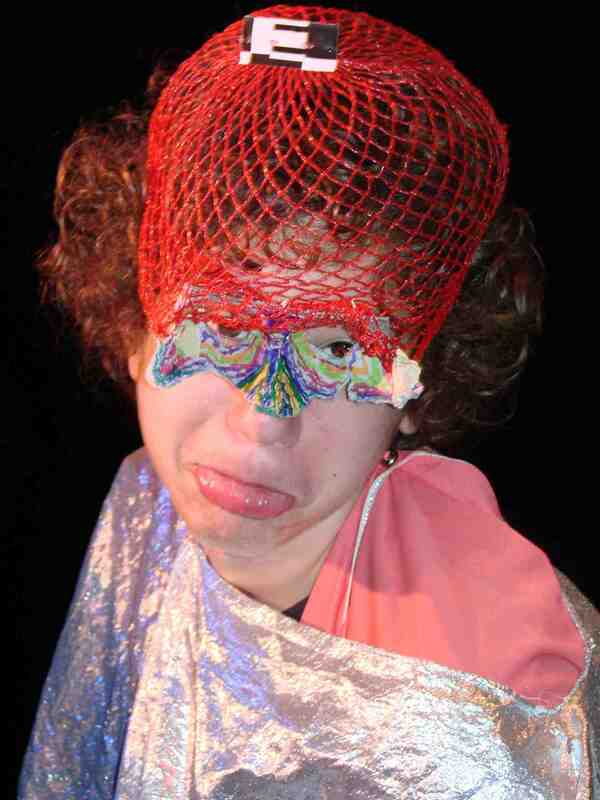 Is a multi-arts performance workshop where students become part of a cavalcade of nonsense characters created by Susan Adler George. 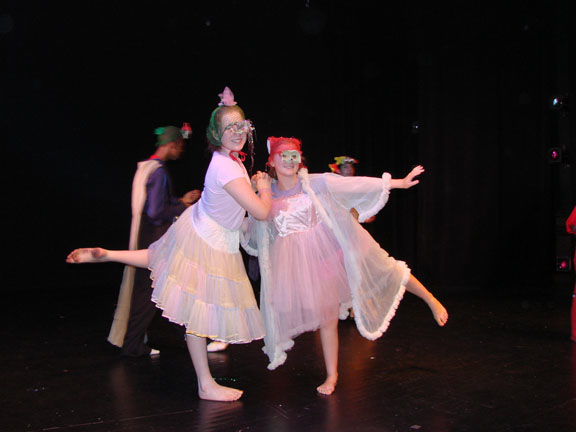 Motivated by Susan's characters, the students then develop their own characters and use dance, music, and found-object art for costumes to create a musical or play. Problem-solving, leadership, teamwork and empathy are are take-away lessons. Unique. Fun. Inspiring. 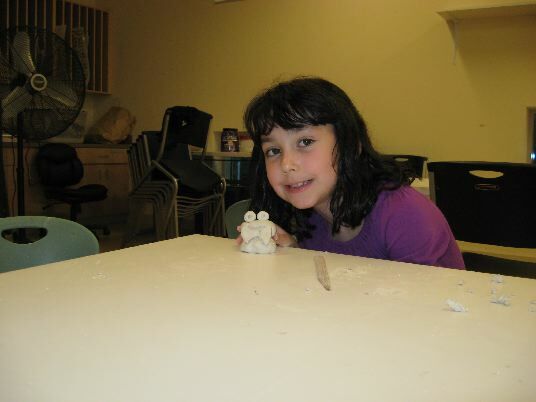 Thank you so much for bringing your sculpture project to our summer art camp. 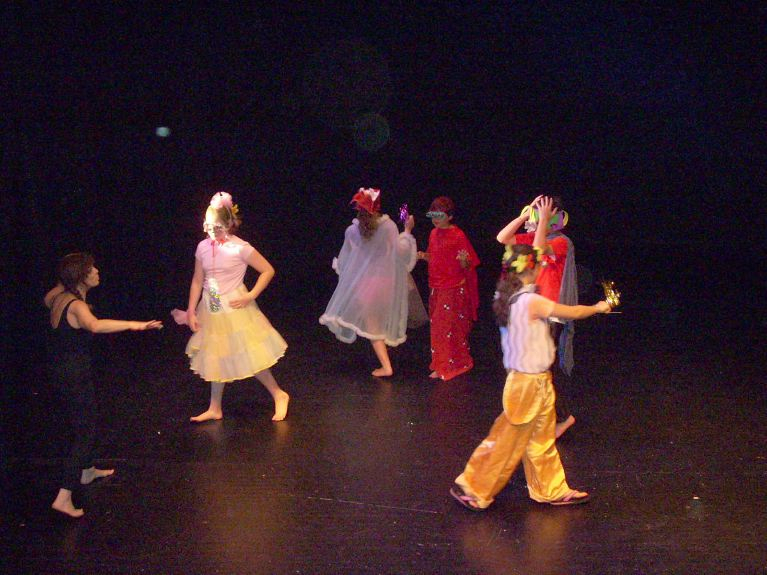 The children were thoroughly engaged and loved working on the project." Bonnie Reynolds, Director, Community Art Center, Towson University.